15m was always my preferred band, in spite of propagation going down, we learnt much from this project. I haven't indulged into making QSOs because I have little time to run the radios. 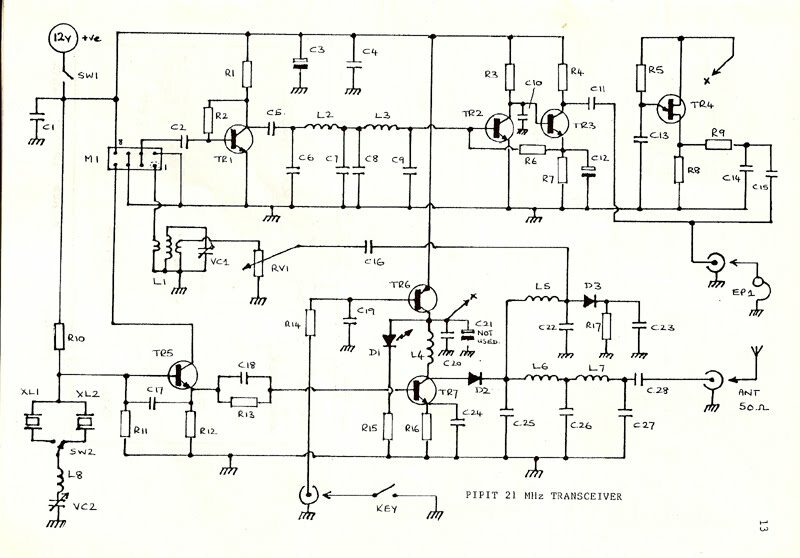 The rig is a simple direct conversion transceiver based around the OXO transmitter by GM3OXX with an SBL1 or similar double balanced mixer based direct conversion receiver. I made this new transceiver to operate CW and SSB with one box of machine. In Japan we can get from 10.595 to 10.695 10kHz step CB-junk crystals very cheap. About one year ago ,on 1998 my QSO friends said to me that he made this projects and he got 1 watt and he could make QSO with his local station. In these days cycle 22 becomes stronger day by day. I want to make QSO in 21MHz like the cycle 21, about 6 years ago. I made simple DSB( double side band) transceiver. One of my friend made the same rig and completed it. Therefore I think that this page has good re-productivity. I made CW 1W transceiver with only three transistor. 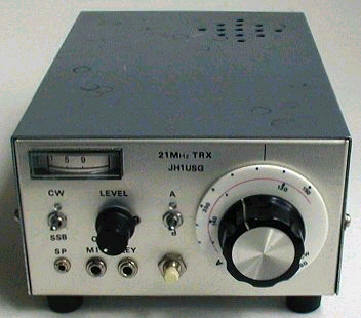 I could make QSO by this machine with Saga, Asahikawa (domestic far distance city),and Indonesia and Taiwan. See another explanation about ssb rigs in my homepage before you read this page! I will explain about the differences from the another machines. Even the HF band SSB transceiver that I made became the 6th unit with this transceiver, with the repetition of improvement. I checked my QRP note and found interesting note; PIXIE2 modification for the simple small transceiver to fit the case of "TAMAGOCHI", the popular virtual pet. BINGO, that's it! !